And…. there you have it. – This particular episode was a little over 4 mins. long. – Running. So much running. – Preview of the set they’ll be using. In previous videos, eagle-eyed commenters noted the Delta Trooper was in the arsenal and he shows off other new blasters in the series preview. There were a few good shots, it was nice to see JT in there, and Zach King is good on camera (not surprising considering his own channel and history) so it’s a decent start of sorts? I would have liked more of an idea of what they’re going to do with each segment but at least the production values are there and as I caught myself watching his magic videos for extended time future videos could be just as compelling. I’m not quite sure what the format of the show is going to be, but there’s only one way to find out! Are you going to tune in again for the next episode? · Be one of the FIRST to get the Nerf brand’s newest blasters. Starting July 1st, Nerf Perks members can use their points to redeem for any of the Nerf brand’s NEW blasters. Go to NerfPerks.com to redeem! Not a member? No problem! Sign up for free at nerfperks.com and start earning points! Open to US Residents 18+. · Members and non-members can use code NERF18 to get an extra 200 points to help you on your way to earning some awesome rewards. 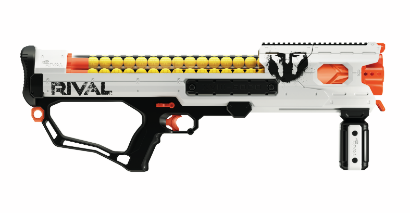 · Get ready, because Nerf Fest is coming! 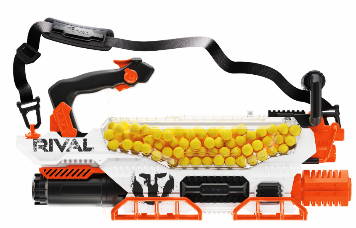 All of the fall Nerf products will be hitting shelves on Monday, July 16th! Street date for the new blasters is July 16th. New releases been spotted in Mexico and elsewhere (and the Delta Trooper is in the hands of some people already) but the samples should be coming out soon. The Prometheus and the Hades by far were favorites, but I am really curious how the Mega Thunderhawk is going to be. It underperformed in my opinion at New York Toy Fair, so hopefully they made some adjustments since then and it’s going to fly! The harmonica clip on that blaster isn’t my favorite feature but the build itself was super solid, and the sliding barrel sheath(?) feature was pretty neat. Make sure to keep tabs for the next entry! By then it should be something from Buzz Bee. Or Zuru. Or maybe Nerf! And don’t forget to keep tabs on my social channels as well.